The ZPro Futbol Goalkeeper Academy Soccer Camp provides dedicated goalkeeper coaching staff and provides the opportunity for Goalkeepers to use their training in games daily throughout the camp of their choice. ZPro Futbol and the Steamboat Soccer Academy are teaming up to provide goalkeepers at SSA with PROVEN training techniques with international coaching experience. ZPro's coaches train international goalkeepers around the world as well as college and youth goalkeepers around the United States. The ZPro Goalkeeper Academy at SSA is an integrated part of our SSA Premier Academy and Performance Academy. Daily training sessions with our ZPro Goalkeeper Director and certified goalkeeper coaches. Goalkeeper training/coaching that is integrated with the SSA field player Academy sessions. Coaching of the Goalkeeper during match games. Due at the time of registration, SSA Cancellation Insurance entitles you to a full refund of camp fees, less transaction fees (typically less than $10), should you cancel your camp registration more than 30 days prior to the start of your session, for any reason. For cancellations within 30 days of the start of your registered camp, SSA will give you a camp credit for all money paid, valid for two (2) years from the date of issuance of credit. The cash value of that credit is valid for any future Steamboat Soccer Academy Camp program that takes place within two years. No refunds will be given for willful absences, no-shows, or expulsions. The Insurance Purchase Fee is non-refundable. We are making it easy for your family to train with us this summer with our Active.com payment plan. Register by May 25th, 2019 for any of our camps and select the payment plan option at checkout. Pay just a 50% deposit at checkout during registration. On May 31st, 2019 your final balance will be due. Want to pay down the balance before May 31st? Using the link you received in your registration email, login any time and make a payment through the Active.com Portal. Being ready to play, Being aware of your surroundings, staying focused for 90 minutes, and mental toughness. Organizing defense and restarts, starting position and angle of play, and decision-making in distribution. 9:00-11:00 Field Session – Fast footwork; tricks with the ball; passing and receiving, angles of support. 1:30-2:45 Field Session-Defending: Pressure, Cover, Balance. 4:00-5:00 Inner tube float the Yampa River – a blast and very refreshing. 6:15-6:45 Classroom -What it takes to become the best player that you can be; What it takes to become an elite soccer player. More questions about the schedule? Check out this Complete Sample Performance Camp Schedule. Remember to get our Cancellation Insurance for Peace of Mind from unexpected injuries and changes in plans. Available during Camp Registration. The Youth Goalkeeper Performance Academy will immerse participants in technical, tactical, and functional sessions. Speed, agility, and quickness training. Keepers will train together in dedicated sessions for improved catching, deflecting, distribution and positioning. Off the field, participants receive dynamic classroom and video sessions, and to maximize quick recovery and regeneration between field sessions, SSA integrates fun off-field activities such as inner-tube floating the Yampa River, swimming in Steamboat’s world famous hot springs pools, and more. 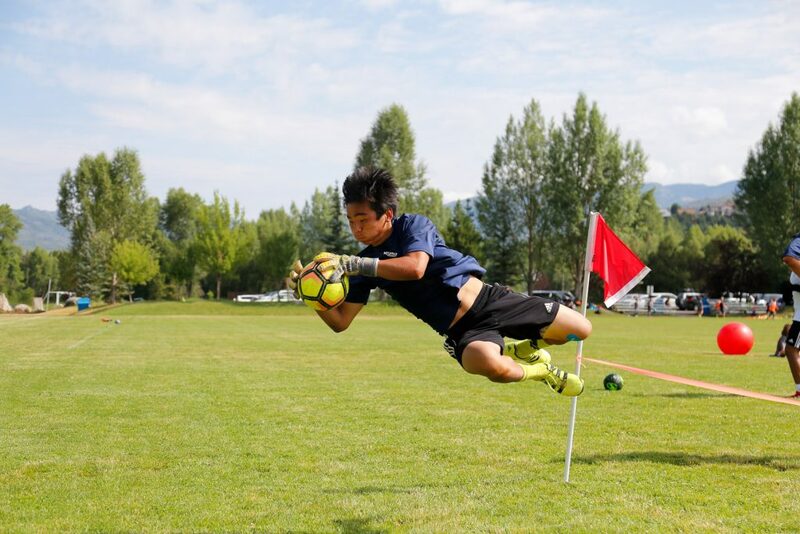 The High School Goalkeeper Performance Academy curriculum challenges players in technical, tactical, and functional training; speed, agility, and quickness training, and fun and intense goalkeeper competitions. Finally, match games are a daily focus as participates compete in the SSA Cup. 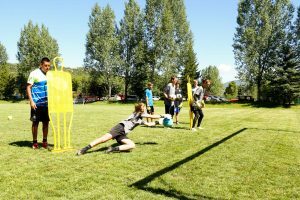 To maximize quick recovery and regeneration between field sessions, SSA integrates fun off-field activities such as inner-tube floating the Yampa River, swimming in Steamboat’s world famous hot springs pools, and more. The SSA Camp is a true College I.D. Camp. Our high school participants are coached by a diverse collection of college coaches (ranging from NAIA to D1) providing recruiting exposure in all training session and match games. Interaction with our college staff during the week also provides College Q&A opportunities, insider information on the recruiting process, the life of a college athlete, and NCAA compliance. The Premier Goalkeeper Academy is designed with the dedicated and aspiring goalkeeper in mind. 9-Days of intense Goalkeeper training and game play will elevate each player's skills to the next level. A 4-day block of cutting-edge training conducted both on and off the soccer pitch. Focus includes Athletic development, Technical development, Game Thinking/Awareness Training, Leadership and Character development. Additionally, teaching aspiring habits for total peak performance, learning new recovery and rejuvenation protocols, and how to better manage the demands of top-level athletic training and competition. Finally, off-field athletic activities will be incorporated with choices such as paddle boarding, yoga, mountain bike ride on Steamboat’s Mt Werner, zip lining and more. Our Bridge Sessions provide active recovery time along with the opportunity to experience activities that Steamboat in the summertime has to offer. Steamboat Soccer Academy athletes train and compete hard during each 4-day Performance Session so proper rest and recovery are vital. 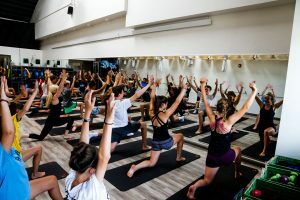 During each bridge session participants will be provided with off-field athletic activities such as a Paddle Boarding trip to Pearl Lake, yoga at Steamboat Pilates Yoga & Fitness Studio, mountain bike rides on Steamboat’s Mt Werner, zip lining and more. Additionally, we will teach Leadership and Character development habits for total peak performance, learn new recovery and rejuvenation protocols, and how to better manage the demands of top-level athletic training and competition. Each Premier Academy participant will continue their development while incorporating a progression of training skills and topics. Players will be able to incorporate concepts and skills from Phase I during their continued training. Training in tactical awareness, technical and functional training, match games, and intense small-sided competitions will help all Premier Academy Athletes take leadership roles during the second 4-day Performance Session.